Taking a broad view across the enterprise, both cloud computing and intent-based networking deployments are still young and many enterprises are just taking the first steps. Looking ahead to 2019, these deployments will mature as they expand and become increasingly complex. As enterprises become more reliant on cloud, the complexity of these deployments will deepen - involving many virtual private clouds, interconnections and segmentation between components, and hybrid cloud connecting on-premises and multiple public cloud deployments. According to a recent prediction from IDC, "over 90% of enterprises will use multiple cloud services and platforms" by 2020. Integrating business-critical legacy applications which weren't designed as pure cloud apps will bring additional considerations. But today, most cloud ops solutions and teams are only equipped for simpler environments. As complexity grows, executing on a cloud strategy reliably and securely will require new automation, analytics, and, perhaps most importantly, team expertise spanning networking and cloud platforms. A year ago, we predicted a rise in automated systems that will start down the path to intent-based networking (IBN). In 2018, we saw multiple large networking vendors and cloud providers introduce IBN capabilities spanning control and intent verification for network infrastructure, and startups in the space continued to deploy solutions in enterprises that are taking the early lead in improving the uptime, security, and agility of their networks. We note that the point of IBN is the intent - that is, the requirements of the business and the network. As a result, IBN is most powerful when it understands and is integrated with the surrounding IT ecosystem. In the next year, watch for these deployments to expand and begin to mature, with an increasing integration of IBN solutions with multiple components in the enterprise and IT workflows. Dr. Godfrey has conducted research in networked systems and algorithms for more than a decade, and is a co-inventor of key technology in use at Veriflow. His work has developed novel architectures and systems for Internet routing, data center networking, high performance data transport, and network data plane verification, as well as advancing theoretical analysis of network algorithms. He has co-authored over 50 scientific publications, and several of these technologies have been deployed by hyperscale cloud computing providers. In 2015, Dr. Godfrey received the ACM SIGCOMM Rising Star Award in recognition of outstanding research contributions, including contributions to network verification. Only one individual worldwide is selected for this prestigious award each year. Dr. Godfrey was awarded the Alfred P. Sloan Research Fellowship in 2014, and has also received the UIUC Dean's Award for Excellence in Research, the National Science Foundation CAREER Award, and the Internet2 Innovative Application Award, in addition to several best paper awards. 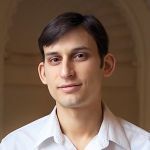 He was a Beckman Fellow at the UIUC Center for Advanced Study in 2014-2015, and has served as program committee chair of several academic conferences. Dr. Godfrey continues to advise young researchers in his role as Associate Professor of Computer Science at the University of Illinois at Urbana-Champaign, and is co-instructor of a popular Coursera course, "Cloud Networking". He holds a Ph.D. in Computer Science from the University of California, Berkeley.